I am an Associate Professor in the Department of Physics & Astronomy at the College of Charleston. My main research focus is the direct imaging of extrasolar planets and circumstellar disks, and also the development of novel medical imaging instrumentation. I received my B.A. from Pomona College and my M.S. and Ph.D. from Cornell University. You may find more information by clicking on the links on the left, and reading about some of my research progress below. The above frames show new extrasolar planets discovered by collaborators and me using infrared imaging on the Subaru 8-meter Telescope in Mauna Kea, Hawaii. The left tile displays a 'Super-Jupiter' orbiting around the high mass star Kappa Andromedae. The Super-Jupiter was first identified by CofC students Thea Kozakis and Laura Stevens. The discovery represents one of the most massive star ever known to show evidence of 'normal' planet formation, and is published in Carson et al. (2013, Astrophysical Journal, 764, 183). The tile on the right shows the newly discovered planet GJ 504 b, orbiting around its Sun-like parent star. The Jupiter-like planet is one of the lowest mass and coldest temperature planets ever imaged around a Sun-like star. The discovery is published in Kuzuhara, ..., Carson, et al. (2013, Astrophysical Journal, 774, 11). 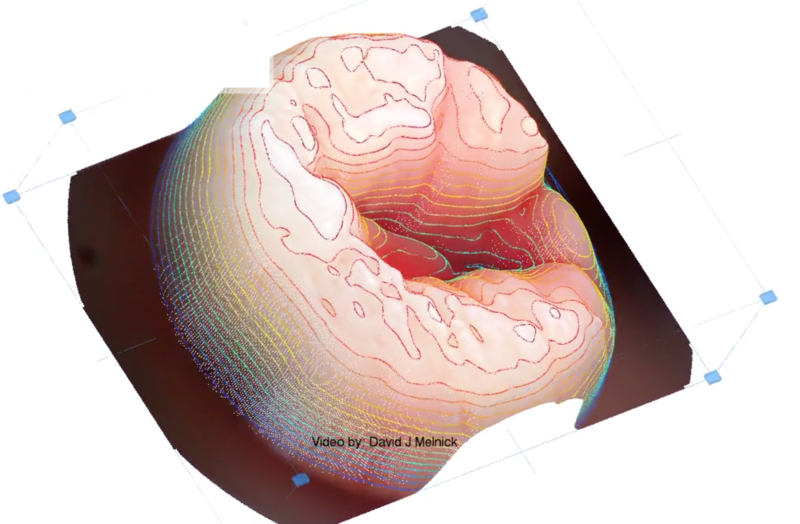 Collaborators and I invented a new technique for carrying out lowcost, single-snapshot, 3D imaging, for the purposes of clinical imaging of cancer growths in resource limited settings. The innovation was recognized as a winner of the 2014 InnoVision award and a semifinalist for the 2014 Global Impact Challenge Competition, in addition to 2018 funding support from the National Science Foundation. A debris disk around HD 181327, captured by collaborators and me using the Hubble Space Telescope, helps show the diversity of circumstellar disks which make up the birthplaces of planets. 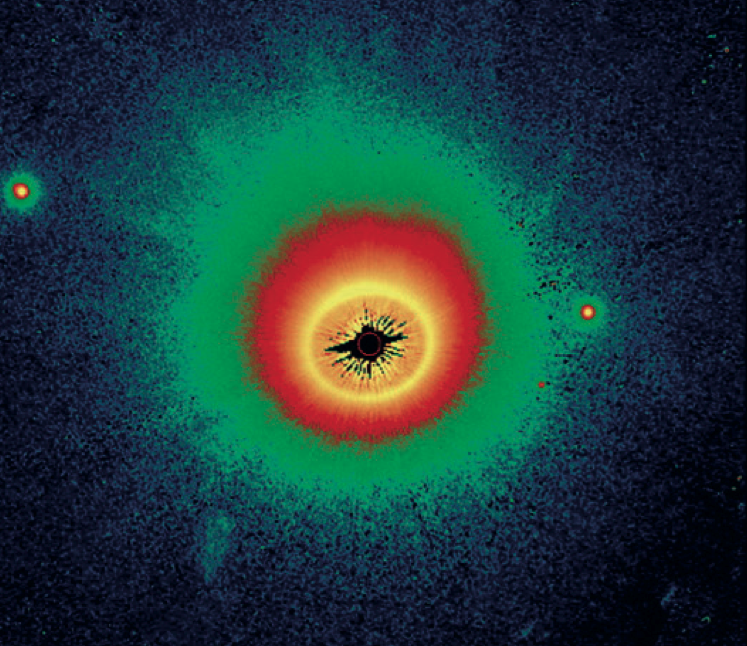 Image featured on the November 2014 cover of the Astronomical Journal. 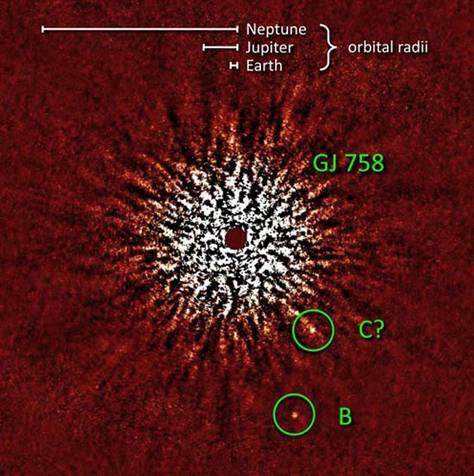 Discovery image of GJ 758 B, a cold brown dwarf around a Sun-like star, captured by collaborators and me using the Subaru 8-meter Telescope. Discovery featured in Time Magazine’s Top Ten Scientific Discoveries of 2009. 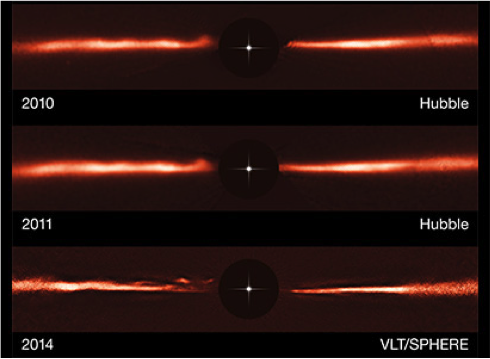 Never-before-seen waves of disk material are observed speeding away from the star AU Mic at speeds up to 40,000 kilometers/hour. This discovery by collaborators and me is published in the October 2015 issue of the journal Nature.